Harvest Moon Winery has been producing quality wine since 2002. The opening chapter in the story of Harvest Moon Estate & Winery begins back in 1977 when the Pitts family planted their first grapes in the fertile Russian River Valley. At the time, the Pitts intended only to sell their remarkable fruit to other wineries. Little did they know that their young son, Randy, would reverse migrate from San Francisco back home to start a new chapter with his initial barrel of Estate Zinfandel in 2002. 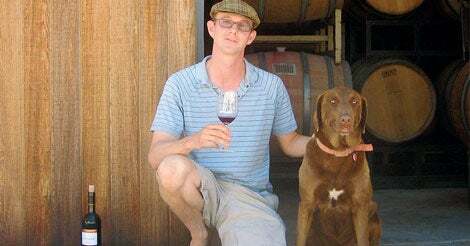 Randy Pitts, who aptly describes himself as a wine shepherd, was inspired by the quality of grapes grown in Harvest Moon's nine acres and began to painstakingly work on crafting a world-class wine. "I thought that Zinfandel, being unique to California, could be grown and made into wine that is not overly tannic yet could age for at least a decade," Randy explains. As both grower and winemaker, Randy thinks about the winemaking as he cultivates the vineyards throughout the growing period, striving for perfectly ripe, balanced fruit at crush time. "We've found that our wines taste fresher and juicier with lower sugars," Randy says. "Their juicy, fruit flavors burst on the palate and possess long, lingering finishes. They complement the meal rather than compete with it." In addition to Zinfandel, Harvest Moon also handcrafts Russian River Valley Pinot Noir, Gewürztraminer, and a Dry Creek Cabernet Sauvignon. Each year, Randy makes three styles of Gewürztraminer: a dry sparkling, a dry still, and an ice-style dessert wine. With each wine in the Harvest Moon portfolio, Randy aims to showcase the elegance of the Russian River Valley through low alcohol, well-balanced wines. The winery has an outdoor kitchen that is open daily, and wine tourers are encouraged to call ahead if they plan to partake. Randy is often there--and in Harvest Moon's tasting room, casually pouring and chatting with visitors about the Russian River Valley, and the next chapter in the story of Harvest Moon Estate & Winery, which is bound to include vintage after vintage of carefully nurtured wines. From Hwy 101, exit at River Rd. and go west (four miles). Turn left on Olivet Rd. and go one mile to winery.